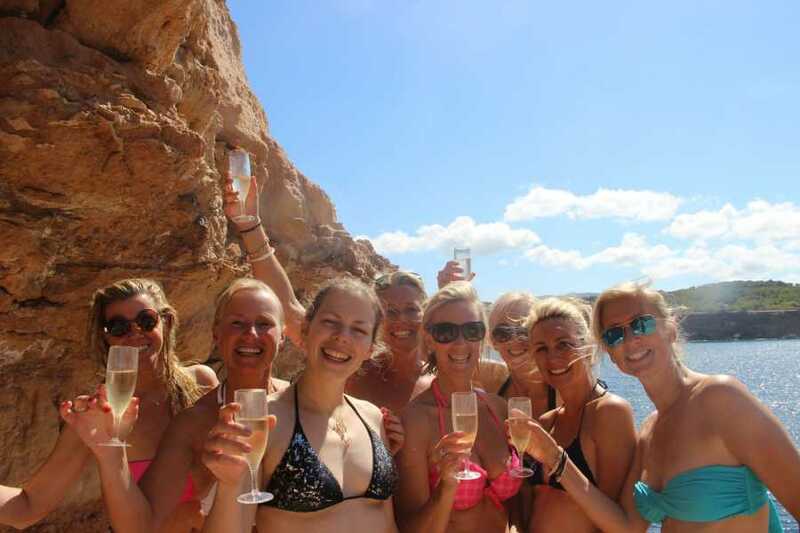 Discover the wild side of Ibiza with one of the most exciting and fun excursions. 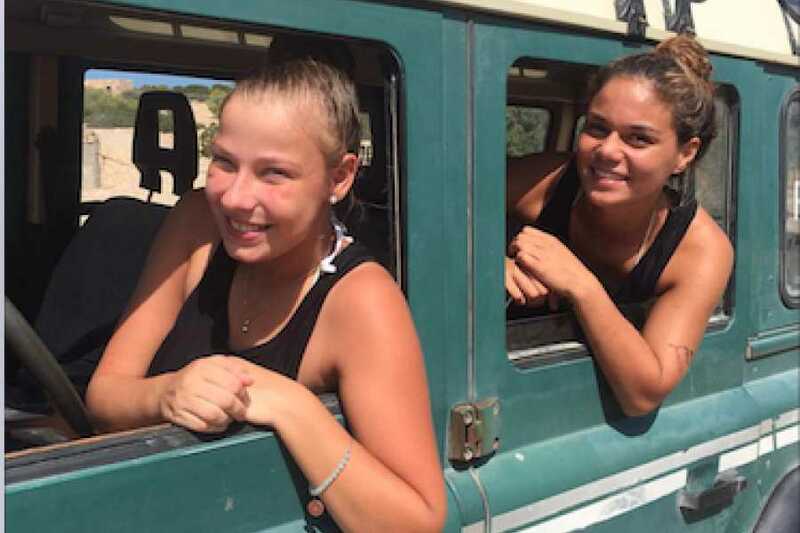 Driving through the old 'caminos' (roads) of Ibiza, exploring areas of great natural beauty and sea views, to walk down the cliffs and mountains to reach sea level. 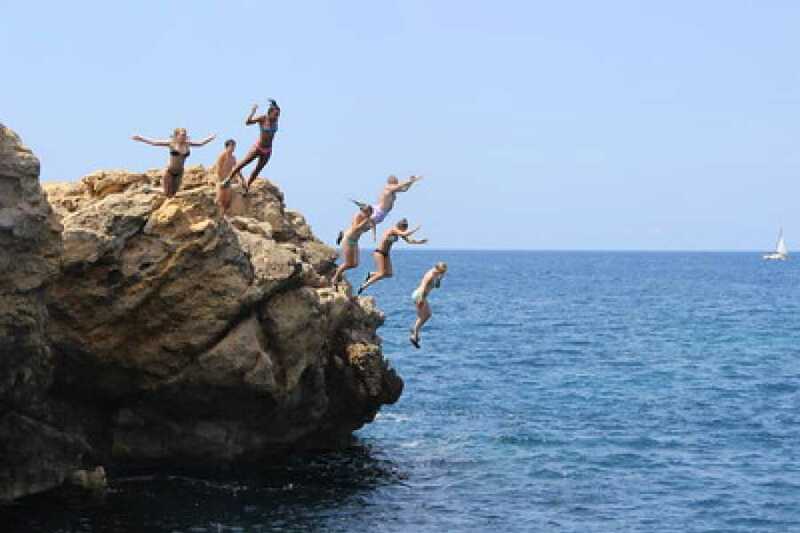 There, in a challenging but safe environment, we urge each of you to 'face your fears’, as we offer the increasingly popular activity in Ibiza, cliff jumping. 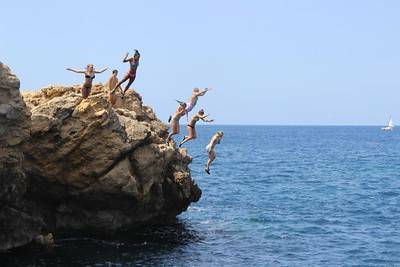 You will enjoy the fun and exhilaration of jumping into the water from the rocks, with our experienced instructors to ensure your safety. 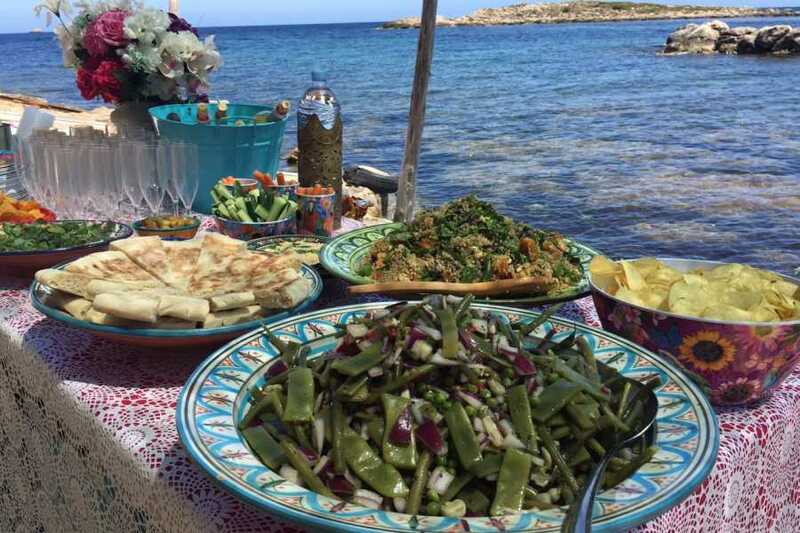 Cliff jumping can be also combined or replaced by snorkeling in the crystal clear waters of the secluded places we will visit. 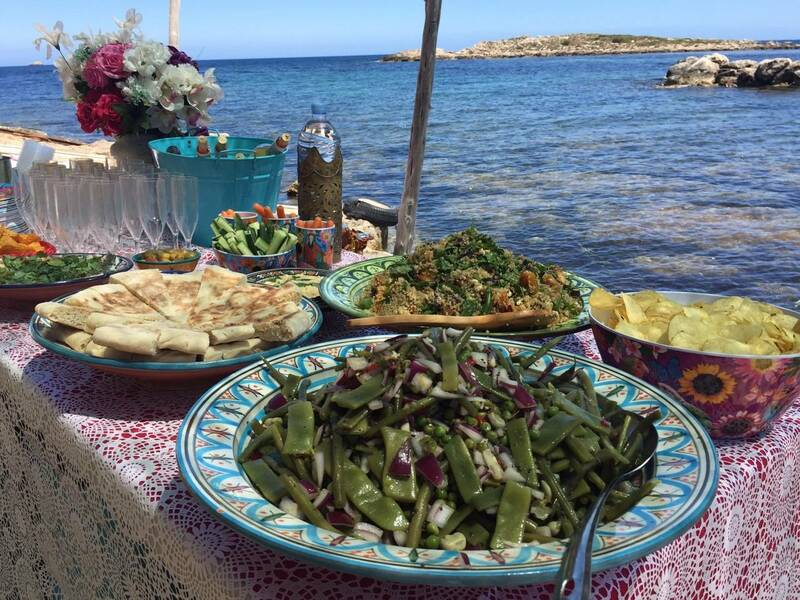 Afterwards, far away from the crowded beaches, we will share a delicious organic picnic on the rocks with some refreshing ice cold drinks.